Rubbery, slightly gritty aromas of olive and balsamic berry fruits are solid and introduce a well-balanced palate. Loamy berry and baked plum flavors are ripe and solid. 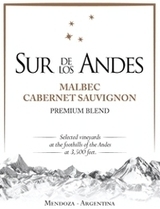 Overall, this delivers an authentic taste of modern Argentina while not veering away from what's familiar; drink through 2020.